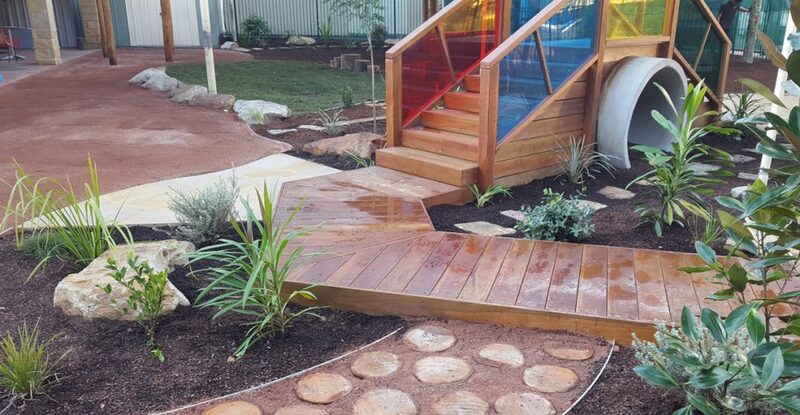 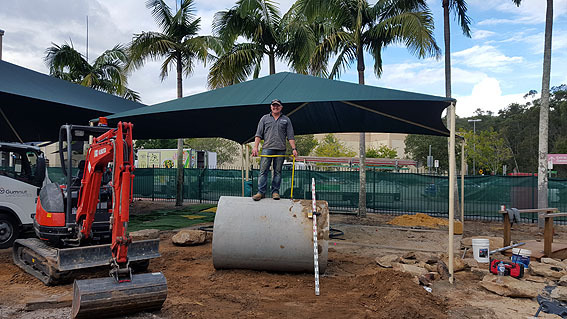 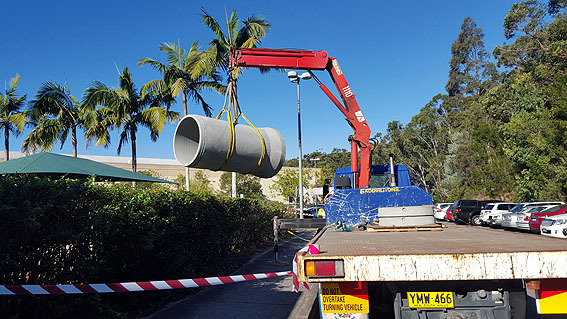 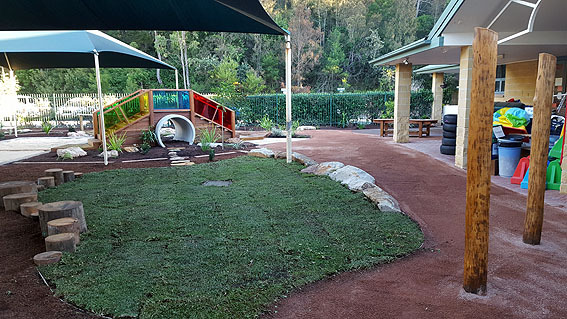 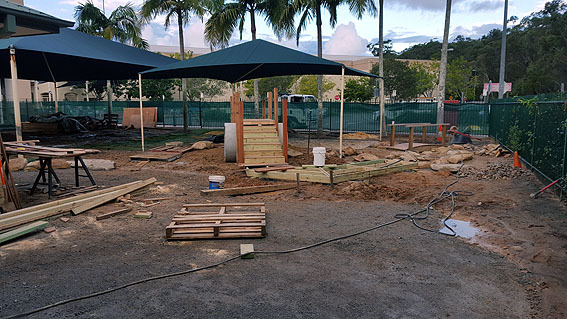 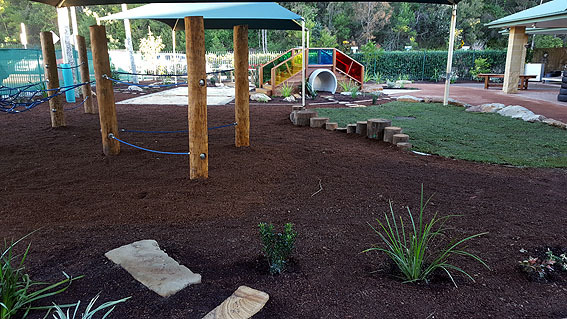 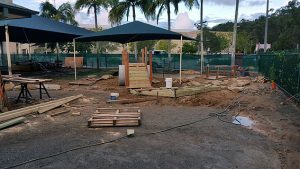 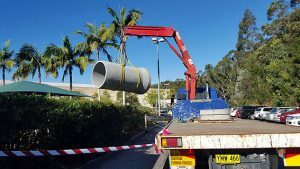 Think Childcare found us through the Landscape NSW Association and contracted Gumnut to construct the new Landscape design for their childcare centre at Tuggerah. 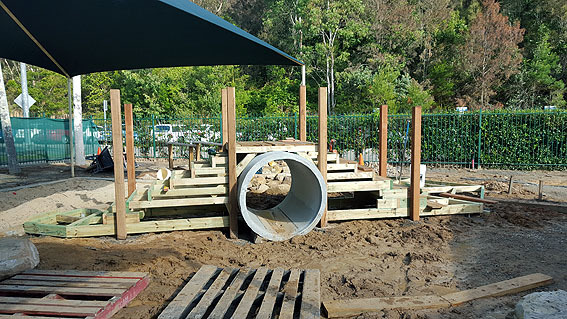 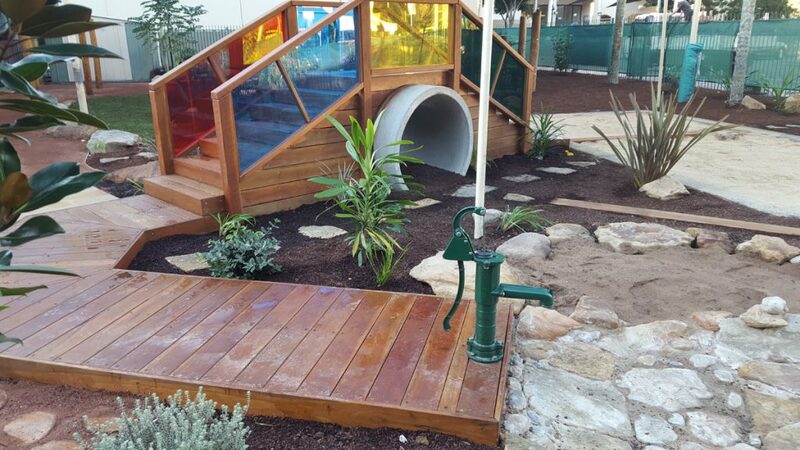 The design is nature play and incorporates elements such as a water pump, sandstone climbing rocks, timber fort and walkways, secret tunnel and climbing area. 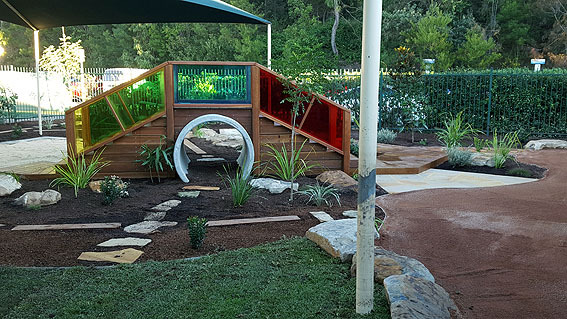 The coloured perspex installed on the fort reflects different coloured light onto the surfaces below.